Daily admission is $25. Kids 12 and under are FREE! Tickets are available online at www.BrainerdRaceway.com, by phone at 866-444-4455, or at the gate. 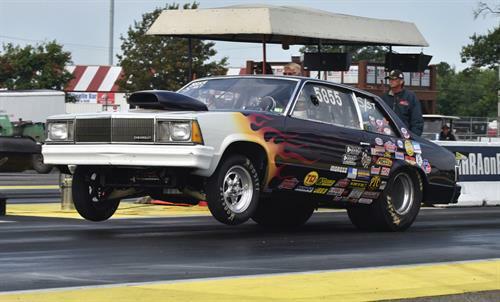 Brainerd International Raceway's Bracket Drag Racing Series is on the drag strip for the first of seven weekends this season. The series features 250-plus drivers competing in 11 classes in dragsters, cars, trucks, bikes, snowmobiles and Junior Dragsters. Friday is a Test & Tune day and then the battles begin Saturday with time trials and eliminations both Saturday and Sunday. Winners are crowned both days. At BIR, the pits are always open. On-site camping is available, including full-service RV sites.